Bipolar disorder symptoms are characterized by an alternating pattern of emotional highs (mania) and lows (depression). The intensity of signs and symptoms can vary from mild to severe. There may even be periods when your life doesn’t seem affected at all. Bipolar I disorder. You’ve had at least one manic episode, with or without previous episodes of depression. Bipolar II disorder. You’ve had at least one episode of depression and at least one hypomanic episode. A hypomanic episode is similar to a manic episode but much briefer, lasting only a few days, and not as severe. With hypomania, you may have an elevated mood, irritability and some changes in your functioning, but generally you can carry on with your normal daily routine and functioning, and you don’t require hospitalization. In bipolar II disorder, the periods of depression are typically much longer than the periods of hypomania. Cyclothymia. Cyclothymia is a mild form of bipolar disorder. Cyclothymia includes mood swings but the highs and lows are not as severe as those of full-blown bipolar disorder. In addition, some people with bipolar disorder have rapid cycling bipolar disorder. This is the occurrence of four or more mood swings within 12 months. These moods shifts can occur rapidly, sometimes within just hours. 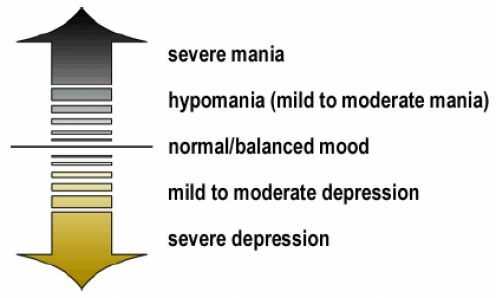 In mixed state bipolar disorder, symptoms of both mania and depression occur at the same time. Severe episodes of either mania or depression may result in psychosis, or a detachment from reality. Symptoms of psychosis may include hearing or seeing things that aren’t there (hallucinations) and false but strongly held beliefs (delusions). But the Father interjects His will on my behalf, and puts me into this critical place by a special grace. I try to rest into this great big sea of a massive love, but I imagine I really don’t belong. In my dark depression, I turn to Him for a greater protection. I understand my proclivity to depression that only sinks me into the darkness of sin. So I reach out, and grab tight. In olden days, a ship in a overwhelming storm would attempt to lighten its load by throwing its cargo overboard. When we are in this despondency, we often will do this as well. Anything to just survive. We are quite desperate. My darkness is deep, and it is an intensely viscous evil. It reaches out for me, and it entangles me. You might rightly say that I am lost, but the Father does intervene, and He steps into my blackness, and separates me from it. It may seem a bit melodramatic. But He nevertheless carries me through. And yet I will confess that He has behaved consistently concerning me. When we have an opportunity we should simply reach out for it. Our foolishness should not disconnect us into a confused place of being. We will step out into this awareness of being made wonderfully complete, and incredibly sure. His presence alters us, and sanctifies us. We change and adjust ourselves. Yet everything that does work into us will bring us to a purpose and significance. I do return and earnestly seek Him to work in me. Unless He does, I will be irrevocably lost. 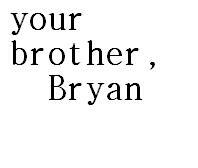 I turn to Him, and so I must admit I am bold in this. I say desperately, ‘Please Jesus, save me.’ I will only turn, and be very bold, entering into His salvation. “Please save me dear Savior, and launch me into the world of salvation. Give me a deep understanding of your deliverance. Jesus, I surrender to your work.” And in all the areas I surrender, He meets me and brings me to the place of rest. “So our hope is in the Lord.